SCOTTSDALE, Ariz., June 20, 2018 /PRNewswire/ -- Sometimes shoeless, always real Taylor Morrison Chairman and CEO Sheryl Palmer has been named a Top CEO in 2018 in the Glassdoor Employees' Choice Awards. Among the 770,000 companies reviewed on Glassdoor, the average CEO approval rating is 69 percent. Palmer's is 96 percent—a rating that landed her the 19th position among all CEOs of large companies (1,000+ employees) in the U.S. Palmer is the only CEO in the homebuilding industry to earn such a distinction and one of three females in the Top 20. Earlier this year Taylor Morrison was awarded a Glassdoor Employees' Choice Award for Best Places to Work in 2018 for achieving a company rating of 4.7 out of 5 from anonymous employee reviews. "At Taylor Morrison we so often say we're about people and purpose, and no one better represents that sentiment than Sheryl," said Taylor Morrison Chief People Officer Jess Terry. "Our team members adore and respect her, and people are drawn to want to work for Taylor Morrison because of Sheryl's reputation, influence and inherent ability to balance a strong business acumen with warmth and approachability." Palmer was appointed CEO of leading national homebuilder and developer Taylor Morrison Home Corporation (NYSE: TMHC) in 2007. Her resilience and resolve helped the company not only weather a global economic recession and housing market crash, but emerge from it on a robust growth trajectory. Palmer has presided over a series of major transformations, including four acquisitions—and one recent definitive merger agreement to acquire AV Homes—the sale of a Canadian operation, and the doubling of markets in the company's portfolio. 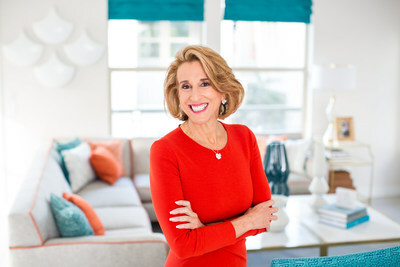 She led the company to its IPO in 2013 and then to becoming fully floated earlier this year, standing proudly today as the nation's sixth largest public homebuilder by closings. In a gesture of confidence in her vision, Taylor Morrison's board of directors unanimously named Palmer chairman in addition to her president and CEO responsibilities in 2017. "I believe leadership is about being accessible, approachable and authentic—chairman and CEO is what I do, but it's not who I am, and I stay grounded with that," said Palmer. "While immersing myself in the many opportunities and challenges the homebuilding industry presents is something I'll never tire of, these days I'm placing an equally weighted emphasis on using the influence that comes with a leadership position to guide and inspire others." In 2016 Palmer started an internal video blog for her team members affectionately titled "Shoes Off with Sheryl" for the simple fact that she hates wearing shoes and is often found kicking them off under the table—a casual habit that reflects her practical, personal management approach. With 17 divisions across eight states and 21 markets, "Shoes Off with Sheryl" is a way to connect with her nationwide workforce on the state of the industry, company strategy and team member successes, along with traveling regularly to visit team members and the communities they're building across the country, which happens to be her favorite part of the job. To formalize Taylor Morrison's already vibrant culture, Palmer introduced an employer value proposition, TMLiving. Its three tenets were inspired by the passion and values Taylor Morrison team members collectively hold today: Spirit and Pride, Health and Wellness, and Community and Giving. Every team member benefit and program is aligned to one of these three tenets. While construction is a traditionally male-dominated industry—and Palmer is the sole female CEO of any publicly traded homebuilder—she has built up a gender-diverse workforce: 48 percent of the population and 30 percent of the leadership team are women. She is passionate about mentorship and regularly blogs on LinkedIn about women in leadership. Taylor Morrison Home Corporation (NYSE:TMHC) is a leading national homebuilder and developer that has been recognized as the 2016, 2017 and 2018 America's Most Trusted® Home Builder by Lifestory Research. Based in Scottsdale, Ariz., we operate under two well-established brands, Taylor Morrison and Darling Homes. We serve a wide array of consumer groups from coast to coast, including first-time, move-up, luxury, and 55 plus buyers. In Texas, Darling Homes builds communities with a focus on individuality and distinctive detail while delivering on the Taylor Morrison standard of excellence.